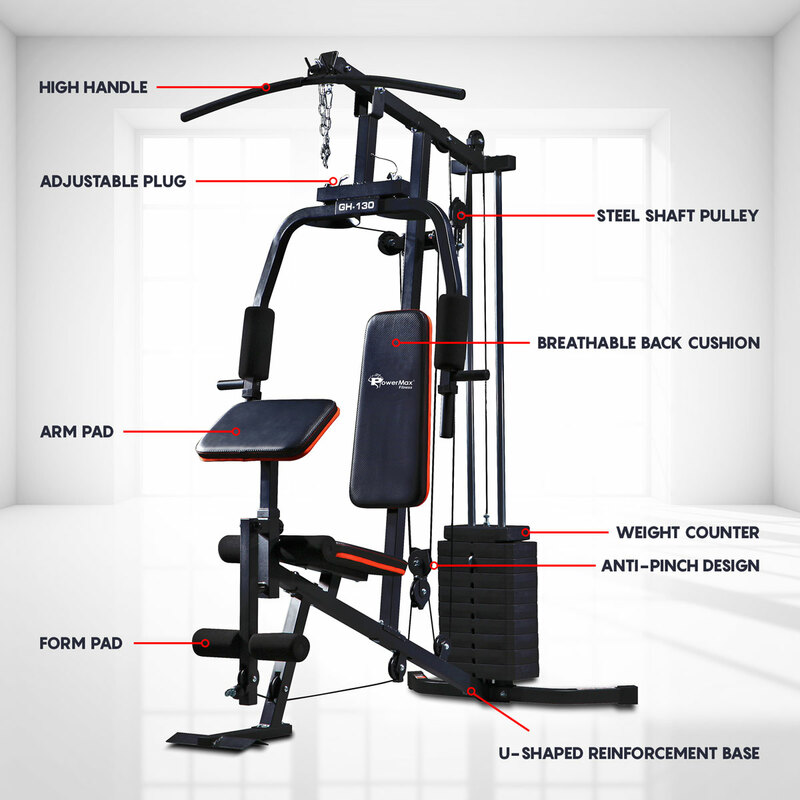 PowerMax fitness has always amazed the Indian audience with its spectacular fitness equipment that is synonymous with quality. 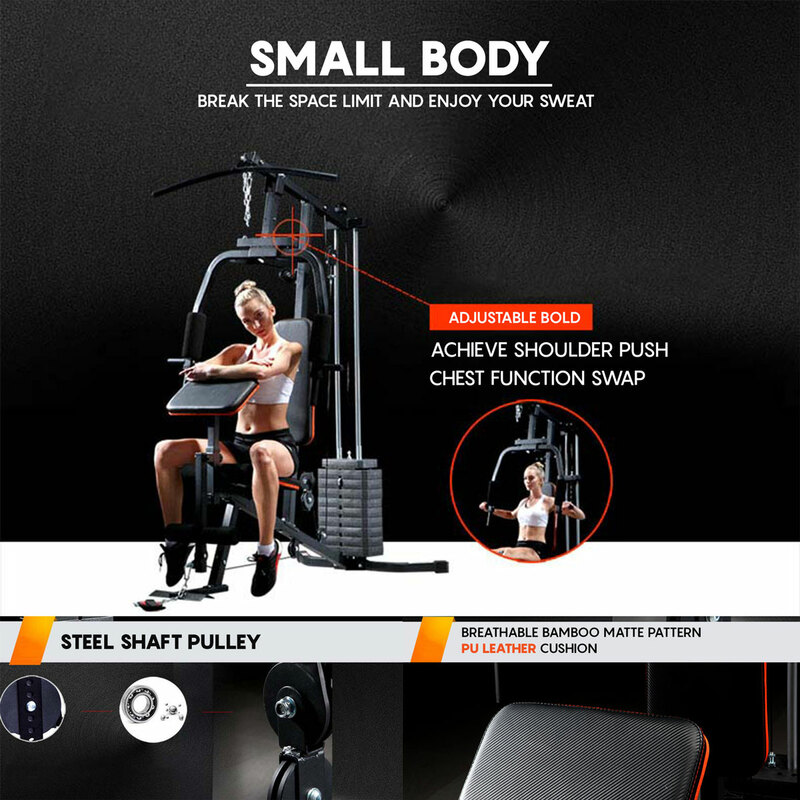 The PowerMax fitness GH-130 home gym is the multi-functional system designed to strengthen your entire body with one machine. 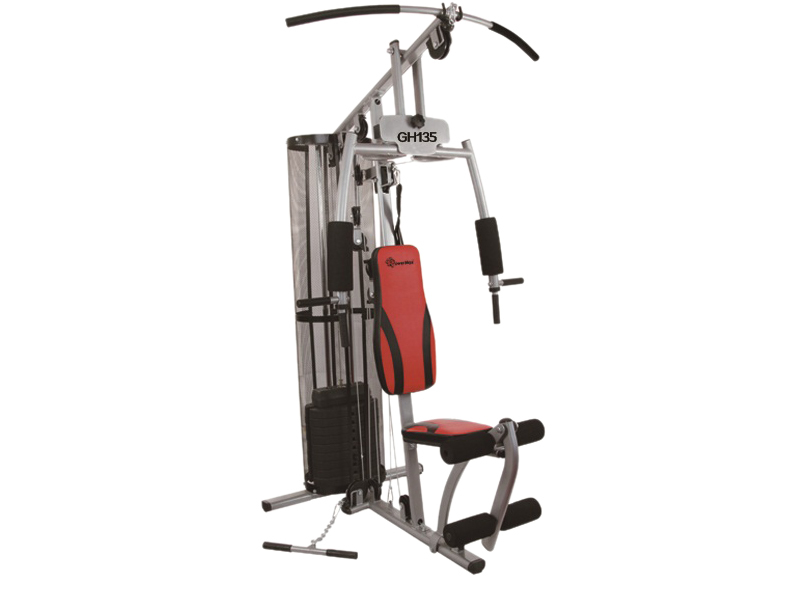 This gym equipment supports multiple exercise functions like Low Pulley Row, Knee Raise, Bicep Curl, Preacher Curls, Preacher Curls-Reverse Grips, Wrist Curl, Leg Curl, Leg Extensions, Crunches, Straight Arm Pullover, Lat Pull Front, Butterfly, Vertical Bench Press, Back Kick, Side Kick, which is necessary for rigorous continuous work-outs and efficient manner. 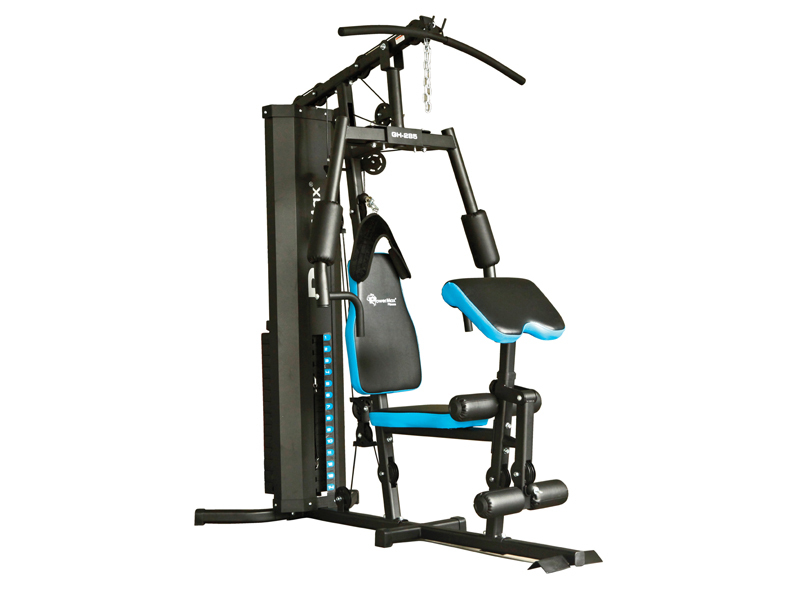 PowerMax fitness has always amazed the Indian audience with its spectacular fitness equipment that is synonymous with quality. 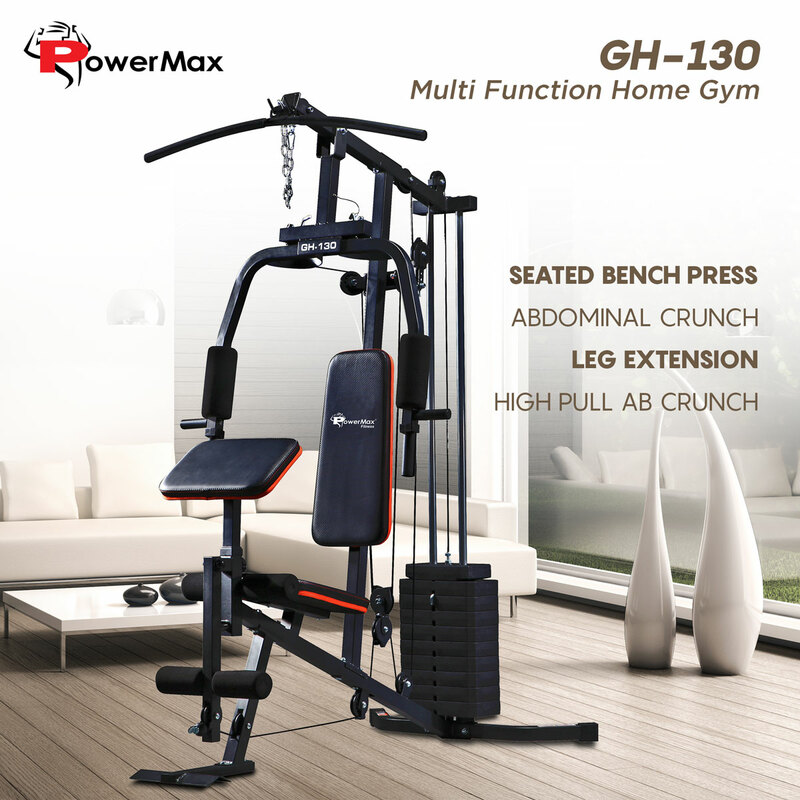 The PowerMax fitness GH-130 home gym is the multi-functional system designed to strengthen your entire body with one machine. 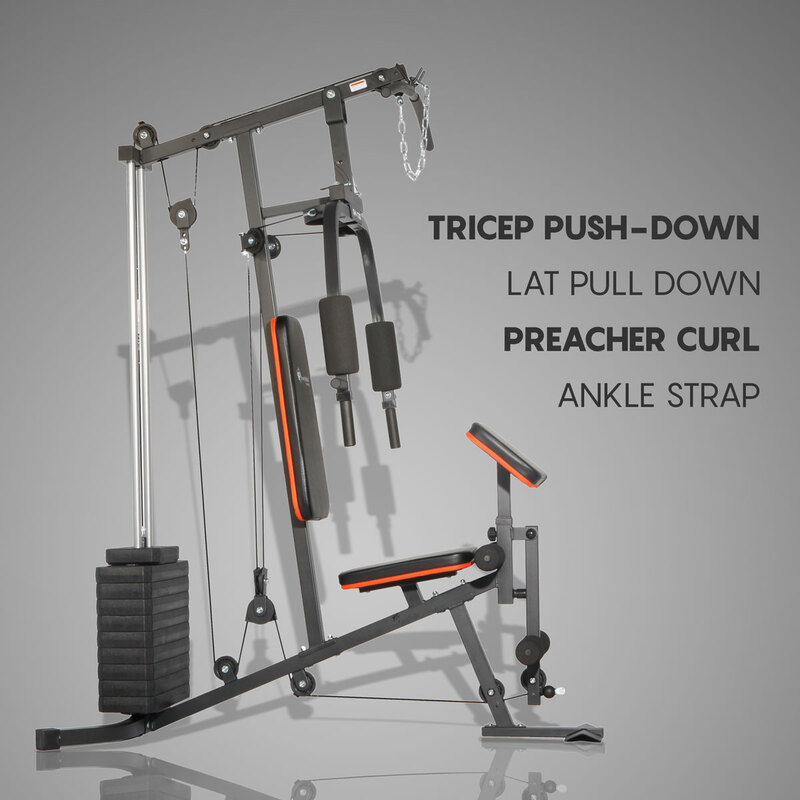 This gym equipment supports multiple exercise functions like Low Pulley Row, Knee Raise, Bicep Curl, Preacher Curls, Preacher Curls-Reverse Grips, Wrist Curl, Leg Curl, Leg Extensions, Crunches, Straight Arm Pullover, Lat Pull Front, Butterfly, Vertical Bench Press, Back Kick, Side Kick, which is necessary for rigorous continuous work-outs and efficient manner. 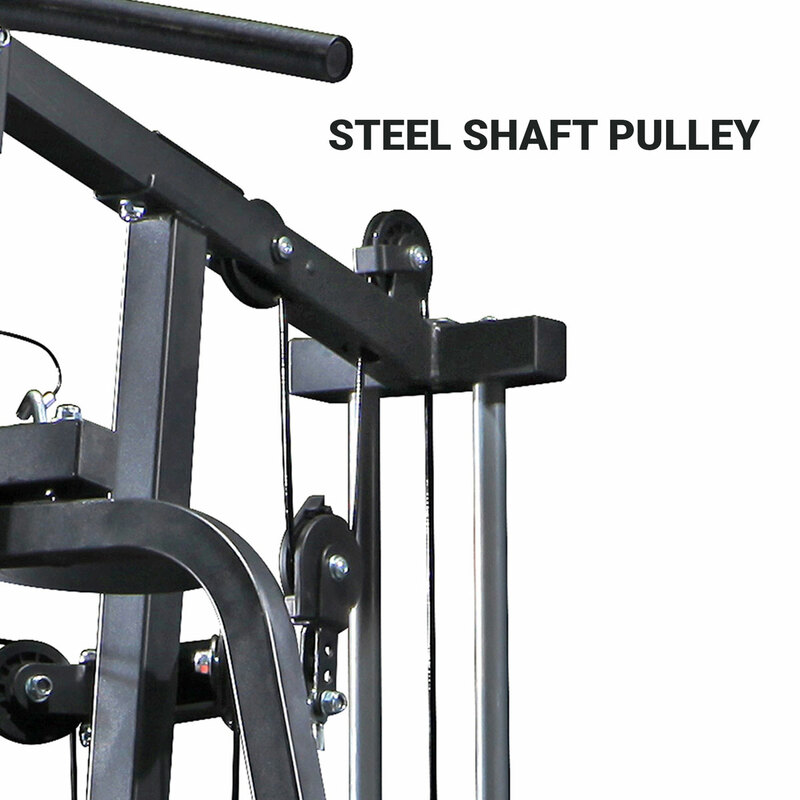 The machine develops upper body strength while simultaneously strengthening the biceps, and rear deltoids in the pulling motion. 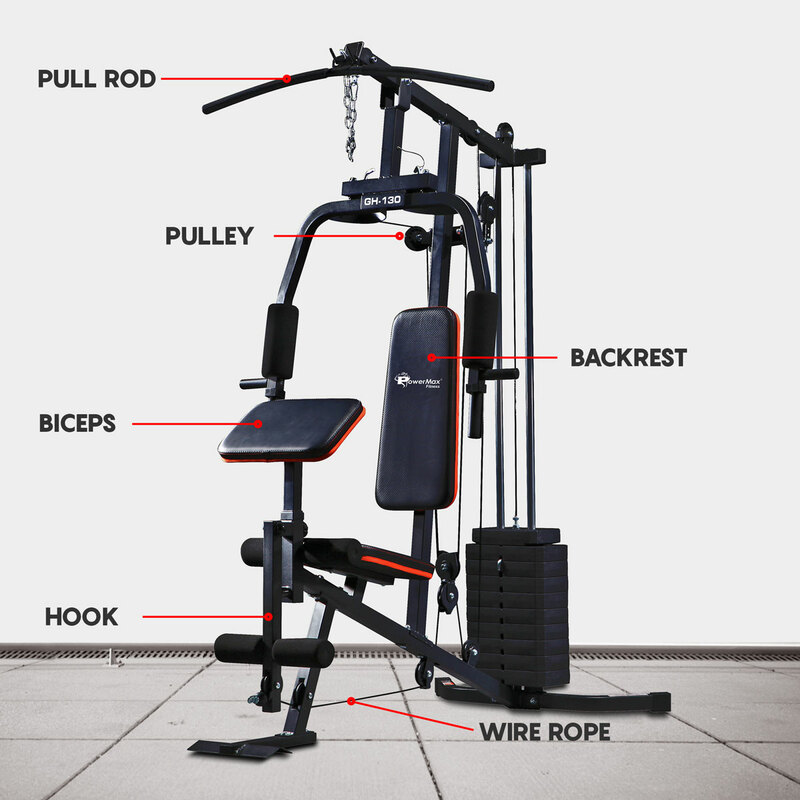 And this home gym system also includes a professionally-designed exercise chart, to ensure proper form and execution with each repetition. 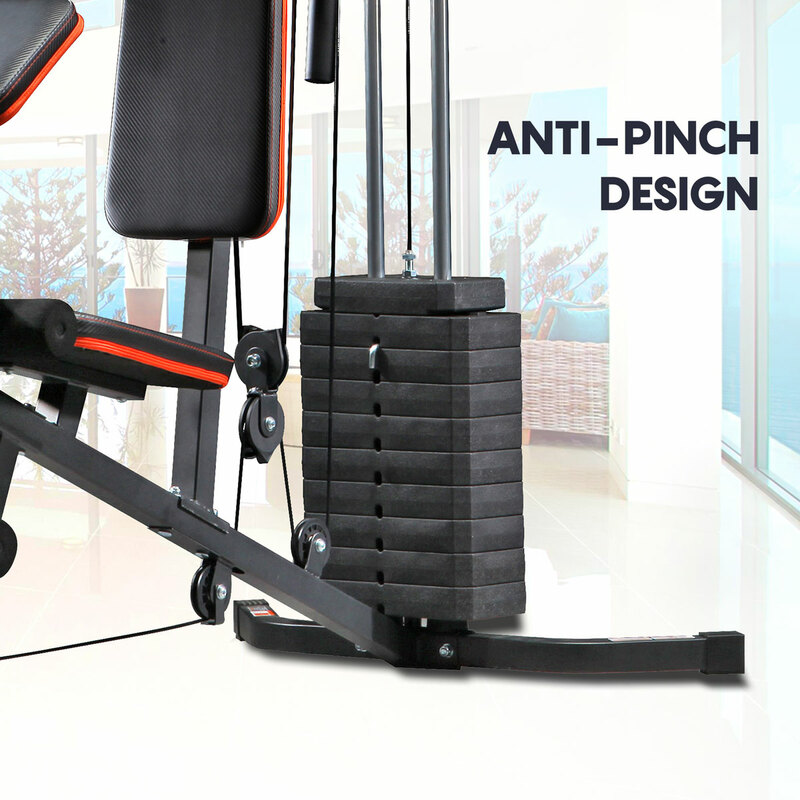 This Multi-functional home gym equipment weight stack weight is 61kgs/135Lbs. 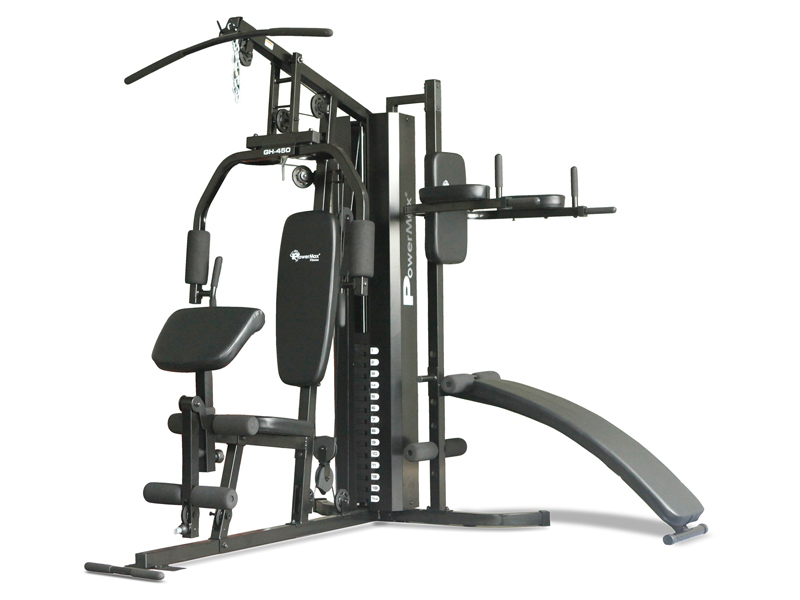 Heavy gauge steel mainframe of PowerMax fitness GH-130 home gym gives 1-year limited warranty. 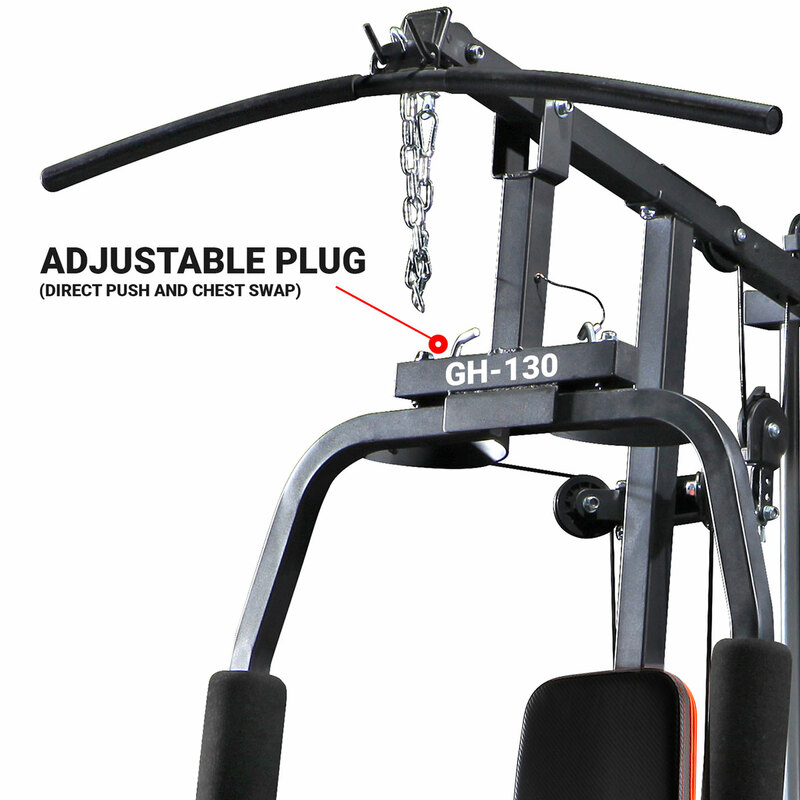 135LBS / 61kg Dead Weight Stacks filled blown vinyl plates.